Here is another fact that should allay some new parents’ fears: There are over 220 college and university programs for students with intellectual disabilities, and counting. This is huge. In the relatively recent past, people with Down syndrome were often institutionalized on doctors’ recommendations, leaving them little chance to thrive, intellectually or otherwise. School-aged students with Down syndrome were educated separately from their typically developing peers, and educational opportunities after high school were virtually nonexistent. Fortunately, individuals with Down syndrome are now leading more meaningful and fulfilling lives than ever, and they are shattering the stigma and low expectations that, not so long ago, limited them so unfairly. Public perception of these inspiring individuals is also changing and improving, thanks in part to the efforts of organizations like Ruby’s Rainbow. As the Plachtas became involved with their local Down syndrome community, they realized they wanted to do something extraordinary to help these inspiring people reach their highest potential. When they learned that college opportunities were increasing but postsecondary educational funding was nearly nonexistent for students with Down syndrome, Ruby’s Rainbow was born. Now in its third year and entirely volunteer run, Ruby’s Rainbow has so far provided scholarships to 42 individuals with Down syndrome. The organization has grown steadily each year, both in scholarship amounts and in numbers of “Rockin’ Recipients” — the students receiving educational grants. In 2012, Ruby’s Rainbow granted 11 scholarships; the next year, the organization granted 13. This summer, the organization granted scholarships to 18 Rockin’ Recipients. As postsecondary educational opportunities for students with intellectual disabilities continue to increase, Ruby’s Rainbow anticipates substantial growth in the coming years. This means the organization’s volunteers have their work cut out for them, since meeting the rising need for scholarship funds will mean securing more and bigger sponsors. So far, the organization has raised scholarship funds through private donations, corporate sponsors, and two annual fundraisers. In the future, new strategies may need to be implemented to secure more funding, but this is a challenge the Plachtas welcome and embrace. 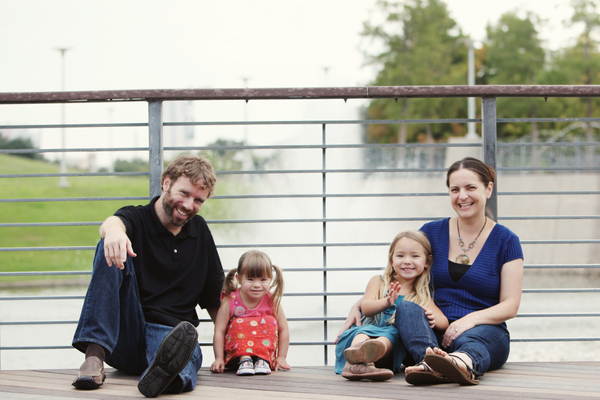 For now, Ruby Plachta is still in preschool, but her parents fully expect she will go to college someday. By the time she is of college age, the educational landscape may look completely different for students with intellectual disabilities — and with any luck, it will be a further improvement on current programs and opportunities. As with anyone, there is no limit to what individuals with Down syndrome can accomplish and achieve, especially when they have access to affordable educational programs that support their learning and development. To find out more about Ruby’s Rainbow, to donate, or to apply for a scholarship, visit www.RubysRainbow.org or contact Liz Plachta at liz@rubysrainbow.org. 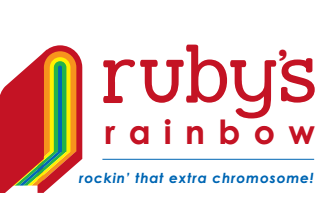 You can also follow Ruby's Rainbow on Facebook and Twitter! 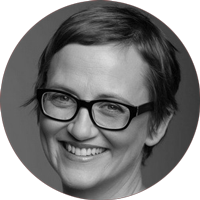 Catherine Avril Morris is a writer and teacher living in Austin, Texas. 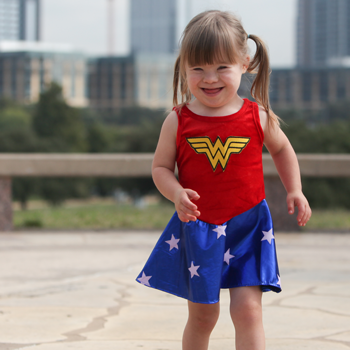 She is also mother of a three-year-old daughter who is rockin’ an extra chromosome, and a one-year-old son who is typically developing. You can contact Catherine at catherineamorris@yahoo.com.